The American Recovery and Reinvestment Act was enacted to provide stimulus monies to encourage community development, economic development and assistance with home related financial recovery. As part of the American Recovery and Reinvestment Act of 2009, our workforce area has grant funds available to help area business owners meet tomorrows training challenges today. Incumbent workers are individuals who are working, but could improve their level of pay or company status with some additional skills training. View a presentation on Incumbent Worker Training. Build YOUR skills today for a NEW career tomorrow! We have additional funding to help individuals shape up their job skills in high-demand, high-growth career areas. To find out if you qualify for services, attend a presentation in Elgin or North Aurora at the Illinois workNet Center. * Underemployed describes the employment of workers with high skill levels in low-wage jobs that do not require such abilities. For example, someone with a college degree may be tending bar or driving a cab or being a cashier potentially resulting in underemployment, which makes workers with bills to pay (and financial obligations) take almost any job available, even if they do not use their full talents. Another example is someone who holds high quality skills for which there is low market-place demand. A related kind of underemployment refers to “involuntary part-time” workers. These are workers who could (and would like to) work a standard full-time work-week but can only find part-time work. 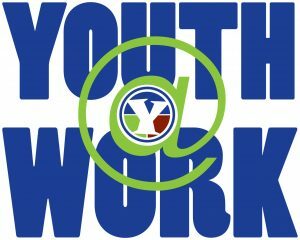 Our goal is to place 300 youth who meet eligibility guidelines in worksites across the three county area. Currently we are adding names to a waiting list for all youth. If positions become available in the program, we will contact youth on the list.